Graveyards in Japan are are quite different from those in my home country, the USA. 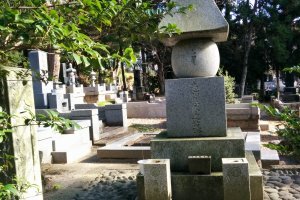 The uniquely-shaped grave markers, the fact bodies are always cremated, Buddhist influences, and even periodic calendar holidays set aside to clean the family grave create something new for the western observer. And cemeteries are not hard to find, as nearly all cemeteries in Japan are located adjacent to temples. 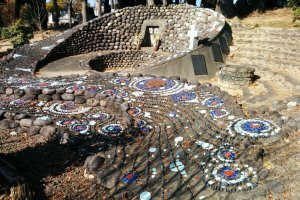 While it could be tempting to walk through these places and imagine a stroll through a park or even an art gallery because of the beautiful graves, visitors should always exercise caution. A cemetery is first for the dead, and next for their surviving families and friends. If you are not visiting with a specific purpose in mind (clean grave, pray, go to an historic grave site, etc. ), it could be considered rude to wander too much. 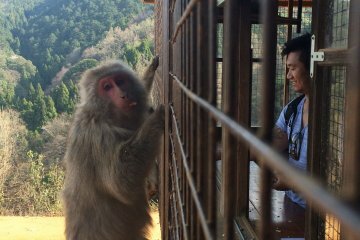 Recently I explored the Kitayama area of Sendai, Miyagi Prefecture. 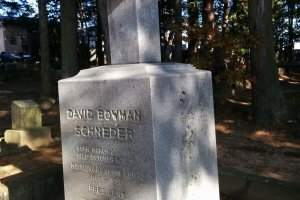 There are many interesting things to discover while narrowing in on the number of historic graves I intended to hunt down. Less than a 10 minute subway ride from Sendai Station, then a few minutes' walk from Kita-Sendai Station begins the Kitayama Gozan. 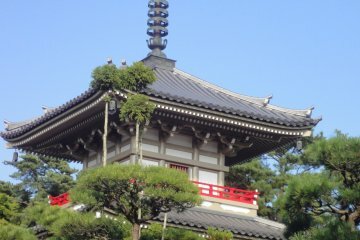 The five temples: Komyo-ji, Tosho-ji, Kakuhan-ji, Shifuku-ji, and Rinno-ji. were built to protect the Sendai castle town from negative energy that is believed to come from the north. They each have their own individual history and architecture. 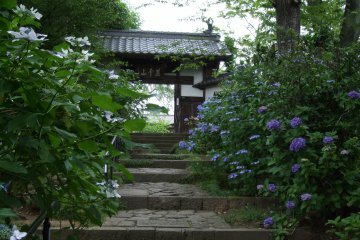 During the rainy season visitors will flock to Shifuku-ji when it transforms into the hydrangea temple. 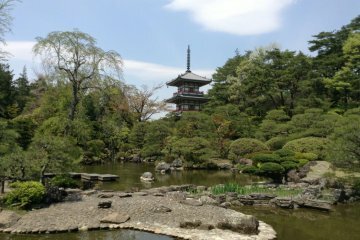 And the always popular Rinno-ji will have a few visitors because of its awesome Japanese garden. Yet overall visitors are few, so bring a friend if you don't like being alone in large graveyards. While grave markers are arranged in rough rows, not all is equal in life, nor death. 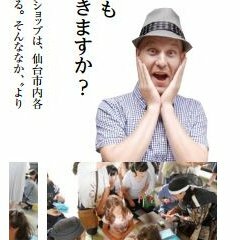 The size, material, and design of the graves are decided by a balance of money and imagination. Graves hovering at your ankles or soaring over your head are made of stone, granite, and concrete. 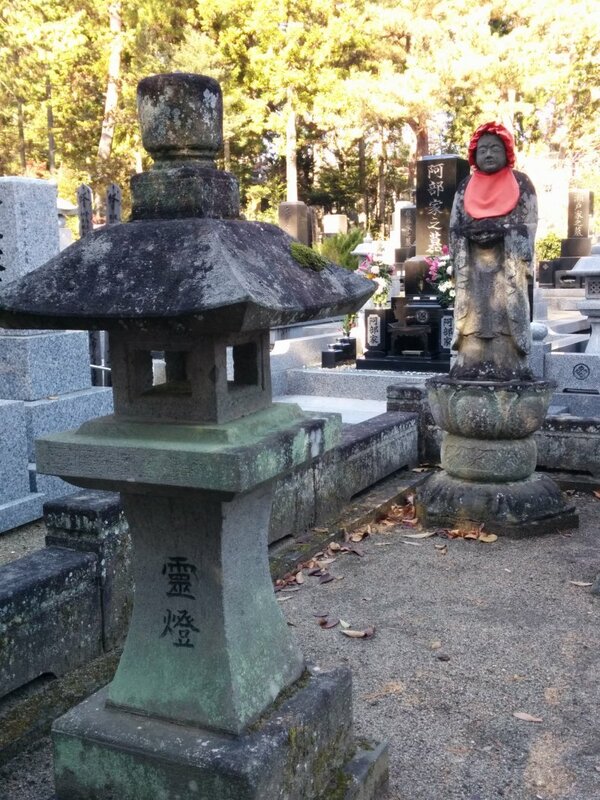 Most are unsurprisingly Buddhist style, which often means decoration with things like Jizo statues. 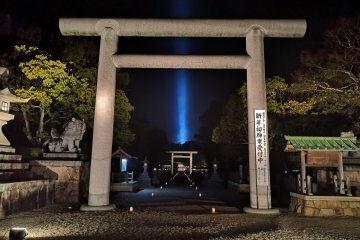 An interesting thing that can sometimes be spotted in Japanese cemeteries are gorinto. These stone lantern-like objects have five levels of shapes ranging from square, to semi-triangle, to sphere, representing 5 universal elements. 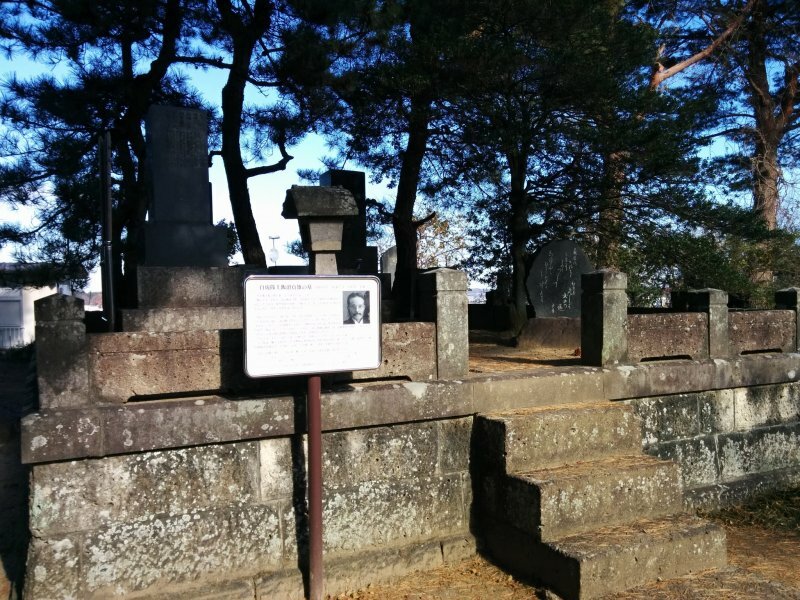 The biggest secret in these cemeteries is the Christian cemetery located behind a tree line on the slope of a gentle hill to the immediate west (left) of Rinno-ji cemetery. The graves here are Christian style, so expect English names and some crosses. 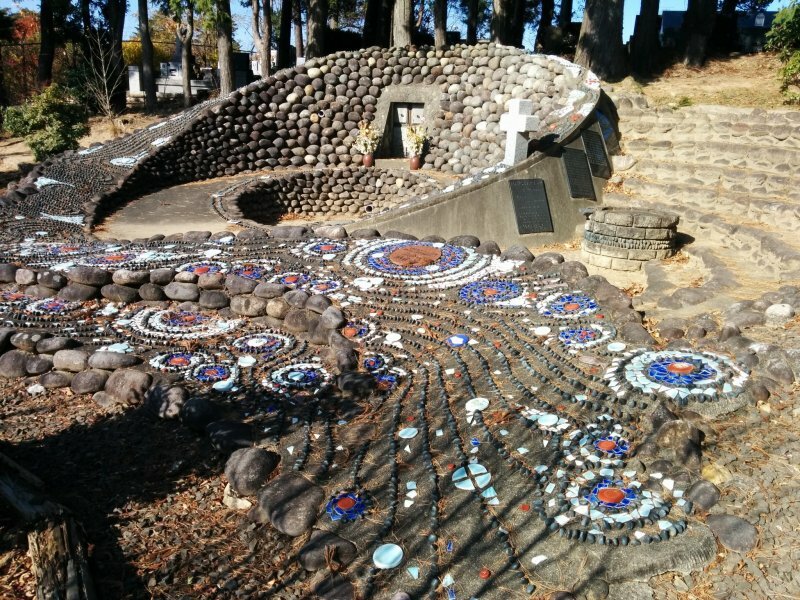 The highlight is an impressive mosaic of colored stone. During my visit I was able to hunt down some of the graves I had went to find. The grave of the mother of Sendai founder and feudal lord Date Masamune is here. 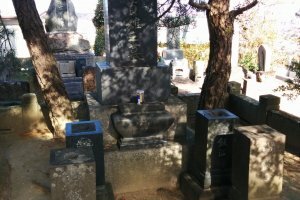 It is a rather small, pathetic grave which is overshadowed by a distant third son's because he hated his mother for harassing him about his missing eye. 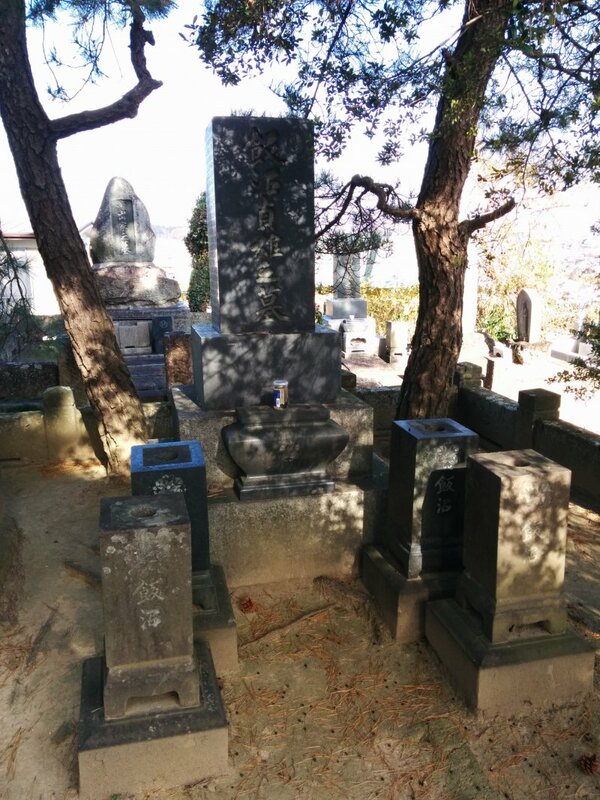 One of the possible graves of Hasekura Tsunenage, a samurai and Date clan vassal, which lead a mission to Rome and back through New Spain (Mexico), is also here. 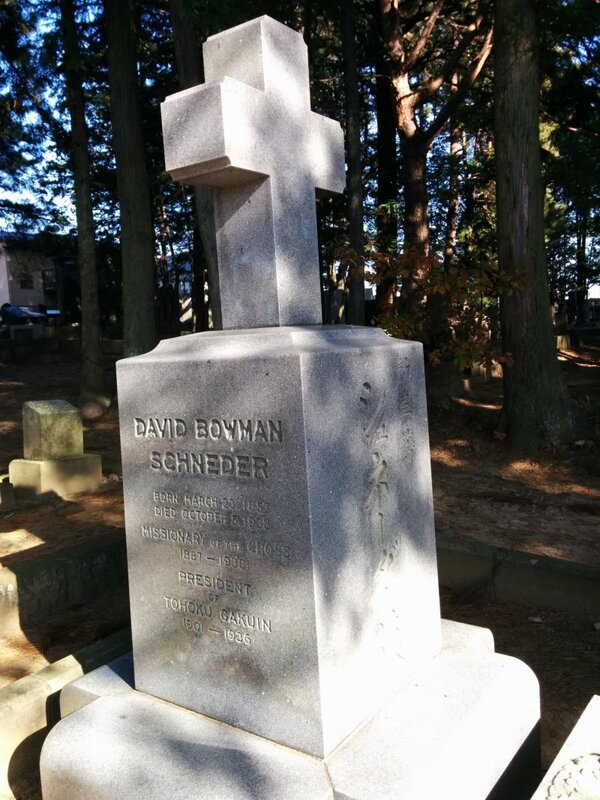 The first non-Japanese president of Tohoku Daigakuin Christian university, David Bowman Schneder (1857–1938), along with Christian missionaries are remembered here. 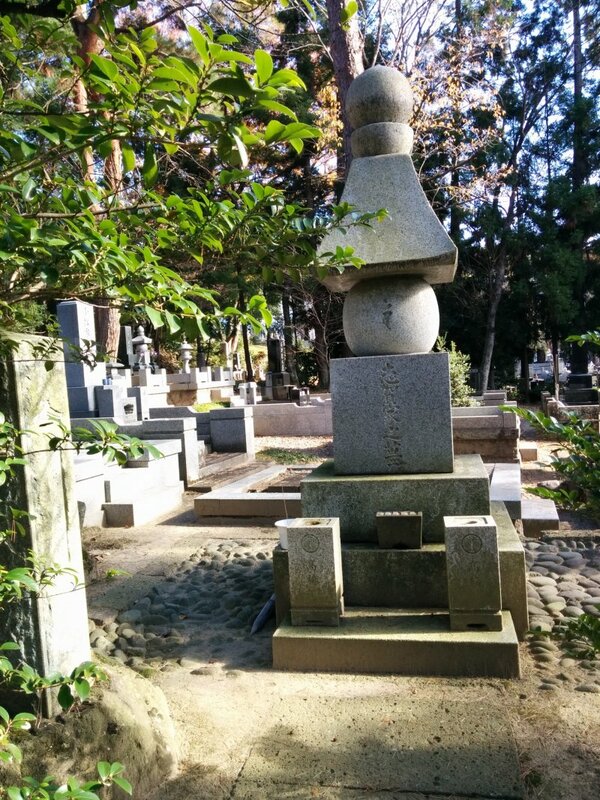 Most surprising is the grave of Iinuma Sadakichi behind Rinno-ji. He is the only survivor of a group of teenage boys that committed ritual suicide during the famous Byakkotai incident at Mt. Iimoriyama in Fukushima. 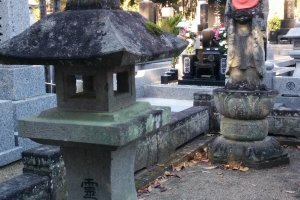 From the western perspective, Japanese cemeteries seem inviting. Features include a free price tag with a natural setting full of interesting discoveries. Also you can learn some local history which would otherwise be forgotten. 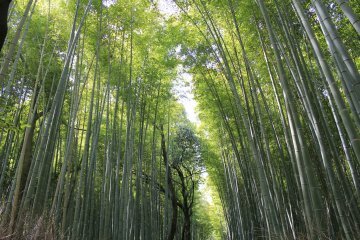 Should you visit respectfully and for the right reasons, a short trip through Kitayama Gozon is an excellent addition to temple hopping in the area. Unqiue perspective. Makes me think twice about wandering through the grave yards. It is a good thing to keep in mind. I have made some edits to the original article to remind readers that when visiting any cemetery, always do so with respect and realize that this a place to remember those that have passed away. Wow, it is amazing to find some art and places for reflection in places like this. There are many readers who are keen to discover places like this. Thank you for this article Justin. My pleasure! 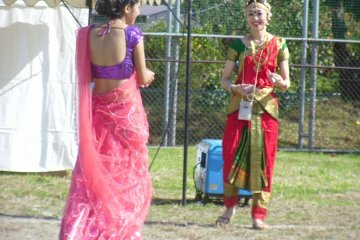 Often these places are not advertised, though it is a shame to not get a peek into local history or Buddhist practices.